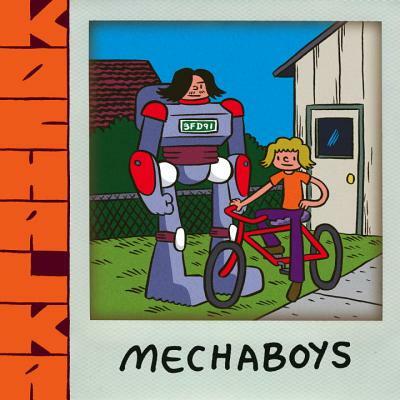 Superbad meets Transformers in James Kochalka's next great graphic novel, with a genuine high-school sweetness mixed in with robot action, comedy, and plenty of fistfights. Two lovable dirtbag teens, tired of being bullied, build a robot battle suit to take revenge on their entire high school. But they never expected to become... kind of popular? Welcome to the love-child of Superbad, Carrie, Mean Girls, and Transformers. Experience the thrill of keg parties, gym class, bear attacks, first kisses, cafeteria trays, and car crashes... but with mechanical enhancement! It's an action-packed dark-comedy teen-romance for the ages, from Eisner-Award-winning cartoonist James Kochalka (American Elf, SuperF*ckers, Johnny Boo, Glorkian Warrior). Among his best known works are the Monkey vs Robot series, the superpowered frathouse comedy SuperF*ckers, the beloved children's series Johnny Boo, Dragon Puncher, and Glorkian Warrior, and his magnum opus, the 14-year span of daily diary comics known as American Elf.